One website lists ten reasons to use linux my favourites of which are “Linux is easier to use than Windows” and “Linux is fun.” It is day three of the experiment and so far I haven’t installed Linux but I have taken a Dell Vostro 3350 apart about five times. I borrowed this laptop off a fellow comrade in this experiment, Jake B, as I will be sending my own netbook home this coming December. I used unetbootin to begin with, on a USB key that was confirmed to be working. I then put Vector on the USB key and it brought up half a blue screen with the top of the vector logo just appearing above the black lower half of the display. After a couple of tries I figured it was corrupt files or a bad ISO so I reformated the USB in order to try Bodhi instead. Unfortunately I didn’t even get a logo this time. Next I burned a CD of Vector and got as far as the ‘find installation media’ screen but no matter how may refreshes or reloads I did it apparently couldn’t find the CD-ROM or configuration files. From previously experiencing installers fail to find hard drives and USB keys because of the type of hard drive setting in the BIOS, I changed it from ACHI to ATA and low and behold finally some success. I managed to get the Vector installer to write partitions to the disk (using the CD at this point) after choosing the add-on applications I wanted to install. Again this failed so I tried once more with the USB key. This failed the same way except it said that it could not find live media. I even tried using the USB key and the CD together at the same time with no luck. Switching between Bodhi and Vector in order to try and get a complete install and many, many CDs later I temporarily gave up. I downloaded a new distribution called Sabyon, a Gentoo based distro with the Enlightenment desktop environment, but alas I kept getting the same errors. I even tried Ubuntu 10.04 and Linux Mint and neither of them could not write to the disk. Figuring it was a hard drive issue I took out the hard drive from the laptop and mounted it in an enclosure. After a quick reformat, which removed a random 500MB LVM partition that I believed to be corrupt, I put it back in the machine. Still no luck. On a whim I decided to test any other hardware errors by running diagnostics from the BIOS. No errors found. I even dug out my ancient XP Profession disc, and after a couple of BIOS changes and a couple of Blue Screens – that were my fault because I had changed the hard drive out so much – I got XP to successfully load, install, and commit changes to the hard drive. Turning to Google, and with the help of a more advanced Linux Experiment comrade, I retried installing Linux by adding some commands to the installer boot options. Still no luck. Why is this article titled ‘Bye Bye Bodhi’? You are having problems with every Linux distribution you try so that points to a hardware setting or compatibility problem. Not a Bodhi issue. Not a very fair title. try LFS, you may have better luck. Here’s the link back to the Hacker News comments, since we’re getting a few referrals from there now and there might be some discussion from that direction as well. FWIW, nobody from the Experiment submitted the article there. Al: Aine picked Bodhi as a distribution, and it didn’t work. Furthermore it *is* a issue with Bodhi if a Ubuntu install works and a Bodhi one does not. While it may not be fair to say it is a problem *exclusively* with Bodhi, look at it from the perspective of a new user of the distribution and the end result. The title reflects that the user has said “goodbye” to the distro, at least for the moment, because it doesn’t work for her. Take the clearly evident wordplay with “Bye Bye Bird(y|ie)” into account and I think that it’s perfectly reasonable. I thought the title was clever. Sounds like it’s the hardware, which is bad luck, but not terminal – whilst the latest Ubuntu might load OK, does the current Ubuntu LTS (Long Term Support) work? It’s Lucid Lynx, version 10.4.3, currently. You’ll probably find that XP (and maybe Vista) could have problems for the same reason – it usually takes time for the latest hardware to gain support in any OS – and XP support just ended. Bodhi Linux from 1.0.0 through 1.2.1 (current) has run fine on all our hardware from an ancient P3-700 (350MHz cpu, 256MB RAM, it uses just 52MB of the RAM) via a raft of Atom-based things like netbooks and net-tops, a slew of Celerons (420, 540) the old AMD Sempron 2000+, more recent AMD 244 x2, and the recent AMD K325 low power Atom-eater dual core. Oh, and a trusty old intel T5600 2-core. Bodhi’s basis is Ubuntu 10.04.x (Lucid) which why I suspect that you have been fortunate with the current Ubuntu. Back a few years we had a problem with the T5600 laptop – it was labeled as Vista-ready, (Not!) and it took six months for Ubuntu (and other distros) to catch up with all the then-new hardware on it. Not unreasonable, we felt. XP was eventually abandoned when we upgraded the HDD – think it’s still on the old drive in a cupboard somewhere. Guru of the bootable Live CD Klaus Knopper’s Knoppix is usually what we try first with any new hardware – the current version is 6.7.1, and it runs on everything I’ve tried since, including the showroom PCs at PC World. The DVD version on a tiny USB key works well for me, but ymmv. Yes, we have huge fun – solving technical problems is fun for some people. But I’ve given up on helping endless people disinfect/reinstall/whatever their diseased MS operating systems, because Windows is the Virus/Malware King and no error! That’s not fun. Dual boot lets one surf the web safely in Linux and keep the old Win stuff protected in a partition that never goes online except for updates. Virtualisation can be even better. And then one day you realise that the Win partition is only being booted for the updates…. Hope you get your problems solved and start having fun soon! Been there; done that. Even tried Lili, a Linux live USB creator which included Bodhi 1.3.0 in its ‘supported Linux(s)’ matrix. I don’t know why it fails and drops down to BusyBox, even though the ISO passes the md5sum check. I suspect that my two machines (an IBM X41 tablet/laptop convertible, and an IBM tower) refuse to deal with anything that resembles the casper/preseed/buntu layout. Unetbootin got my Sabayon up and running. Have you been able to complete your test? Or left it at Machine 1, woman 0? In my experience if you choose the right information about installing Linux OS’s it is doing the job fine and in a short time. I just have finished my experiment with ‘Bodhi Linux’ on my dual boot W7 system and am now changed into an enthousiastic user of this O.S. It is fast and has a beautiful desktop which you completely can adjust to your own wishes. Not as much adds on the internet and no virus scanner as you have to use with Windows. Each day I enjoy more and find out new ways to make it still more comfortable and beautiful working. 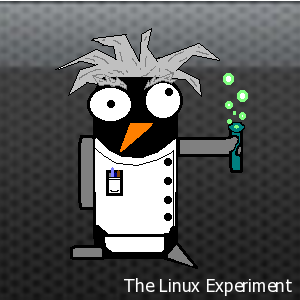 If there is a problem I can use the Linux forums which also are controlled by Linux staff members. All in short: I am happy with it.